LONDON Two U.S. mariners have been taken hostage after an attack on a U.S. ship 40 miles off the Nigerian coast. 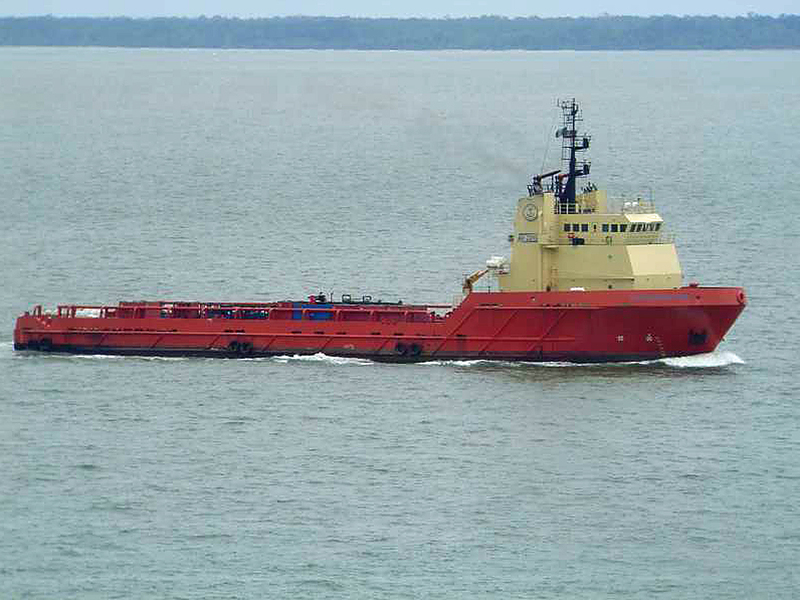 The American captain and chief engineer of the oil platform supply ship C-Retriever were kidnapped by pirates off the coast of Nigeria on Wednesday, news agencies reported, citing anonymous U.S. defense officials. U.S. officials confirmed to CBS News correspondent David Martin that there were 13 people on board the vessel when it came under attack, and that two American citizens were taken hostage and being held at an unknown location. Their condition was unknown, and there were no immediate claims of responsibility. The State Department said it was "closely monitoring" the reports and was "seeking additional information about the incident." The U.S. considers the incident an act of piracy and not terrorism, reports CBS News State Department correspondent Margaret Brennan. The U.S. Embassy in Lagos and the FBI are involved in the investigation. The Gulf of Guinea is an area where oil bunkering occurs and ships anchor, Brennan reports. There is not a large naval protective presence where the kidnapping occurred, unlike off the coast of Somalia where shipping lanes are protected. Maritime industry website gCaptain first reported the incident, saying the "C-Retriever," owned by Louisiana-based marine transport company Edison Chouest, was attacked by pirates near the city of Brass, in the Niger Delta, on Wednesday. Brass sits at the mouth of one of the many rivers and streams that empty into the Gulf of Guinea, forming the Delta, which is home to a number of large international oil platforms and regular industry ship traffic. Edison Chouest did not immediately respond to a CBS News request for comment on the reports. An American man from Georgia was kidnapped from the Niger Delta city of Warri last year. He was freed after a week in captivity, possibly for a large ransom, though the circumstances were not confirmed. There were five reports of U.S. nationals being kidnapped in Nigeria in 2011. Nigeria's government earns billions of dollars a year from its resources in the oil-rich Delta, but is frequently accused of widespread corruption that keeps the vast majority of Nigerians from sharing in the wealth. The Delta region's inhabitants remain impoverished, and for years small groups of bandits have attacked oil industry vessels, but the attacks have increased in recent years and become more dangerous, according to one industry worker who left the region last year. George Ezard, a British contract engineer who spent eight years working in Nigeria, told CBSNews.com the attacks on ships and platforms were even creeping west from the Delta toward Lagos, Nigeria's sprawling economic capital. "Only one company would give us life insurance, but it wasn't valid in the Delta," recalled Ezard, who worked most recently in Lagos but was previously based in the Delta city of Port Harcourt. "Even in Lagos it (pirate attacks) was increasing," he said. "It was really getting to be bad." In addition to the threat of piracy in the Delta region, Nigeria's predominantly Muslim north is facing an insurgency by Muslim separatists, led by the militant group Boko Haram, which has carried out numerous attacks against the Christian minority in the region. The Nigerian military has established a Joint Task Force to tackle the problem of piracy in the south, while carrying out a military offensive against Boko Haram in the north.